The Gadium Emergence Committee ‘manages’ the transformation of other planets to a higher evolutionary state. 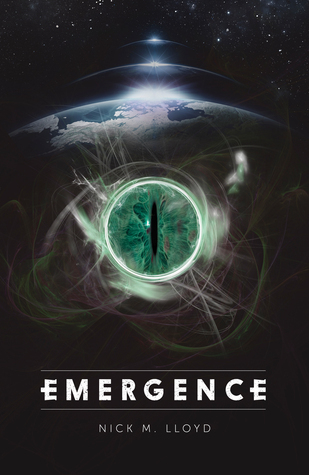 When a group inspired by a survivor of a car crash threatens to discover this process too early, the team assigned to manage the Earth’s ‘emergence’ has to try to stop them. To further complicate things, another faction on Gadium is bent on perverting the process. It took a few chapters to grip me, but once it did, I couldn’t put it down. The book is reminiscent of the Culture Novels in that it involves a clash between the Earth and a far more advanced Alien society. At the start, some of the early conversations on Gadium were a bit opaque, but as the story unfurls, its society and its political shenanigans flesh out in a satisfying way. In the meantime the antics of Louise, Jeff and Mike kept my interest. They were engaging, believable characters. The names of the some of the aliens were peculiarly human. Some terms like beta, alpha and triple alpha were never explained fully though their general meaning are relatively easy to infer. However, these minor quibbles didn’t diminish my enjoyment of the book. This entry was posted in Review and tagged Emergence, Nick M. Lloyd, Science Fiction on March 24, 2015 by photocosmic.